It is particularly apt to begin this exploration of the reputation associated with Margaret of Anjou (1430-1482) with a quote from Shakespeare. It is in his portrayals (in the Henry VI trilogy and in Richard III) where many people first encounter the woman who would become the wife of the Lancastrian King Henry VI of England and one of the key protagonists in the fifteenth century dynastic conflicts popularly known as the Wars of the Roses. As summarised by Dorothea Kehler in “Shakespeare’s Widows”, Shakespeare’s Margaret is a “Foreigner, white devil, shrew, virago, vengeful fury”. Throughout the four plays in which she appears, Shakespeare consistently demonizes her as “a foul wrinkled witch’ and a ‘hateful with’red hag” and attributes a series of malevolent/immoral actions to her including adultery and cruelty. Margaret is seen in one scene wandering round Court clutching the severed head of her supposed lover the Duke of Suffolk and in another rubbing a cloth soaked in his son’s blood all over the Duke of York’s face before placing a paper crown on his head and stabbing him. This demonization is rarely countered in popular culture, despite its roots being firmly set in propaganda and having little relevance to historical fact. It is also a portrayal that does a complex and driven woman a disservice by reducing her to the limited ‘she-wolf’ dimensions of a stereotypical villainess. The Wars of the Roses was a period in which propaganda became recognised as a powerful weapon by both sides, and a later re-shaping of history to meet the pro-Yorkist demands of Shakespeare’s Tudor masters is to be expected. However, xenophobia and misogyny also play a part in creating the myths that have gathered around Margaret. Margaret’s marriage to Henry VI in 1445 took place as part of one the many peace treaties signed between England and France during the course of The Hundred Years War (1337-1453). The marriage may not have been particularly popular at its start. Margaret was French at a time when nostalgia for England’s past military successes against France, and the power once held there, were being revived in a patriotic wave of ‘Englishness’. She brought no dowry with her and, for the first eight years of the marriage, failed to produce an heir, the prime duty of any queen. Maternity was one role assigned to medieval queens, the second was intercession, explained by Lisa Hilton in “Queens Consort” as “a means by which ‘masculine’ authority was diverted by the power of ‘feminine’ mercy.” A queen acting as an intermediary on behalf of individuals (or even cities as in the case of Richard II’s wife Anne of Bohemia and London) who had incurred the royal wrath and pleading for clemency allowed a king to change his mind or soften a decision and was a ritualised part of the Queen Consort’s role in medieval England. Intercession, however, requires a strong king and a, publicly-at-least, submissive queen. This situation could not exist under Henry VI as he was frequently incapacitated for long periods by an illness which seems closely linked to narcolepsy and was overly-pious, weak and withdrawn from the business of government during periods of improved health. This symbolic role was therefore made difficult by circumstance for Margaret; it was likely to have been made doubly difficult by her character and upbringing. One man’s “grete and strong labourid woman” is another man’s virago needing taming. This was particularly true in England where rule (including as regent) by a woman was not a well-received concept. Margaret’s French upbringing may not have prepared her for this attitude. Her mother, Isabella Duchess of Lorraine, was Queen Consort of Naples and frequently acted as regent across her husband’s lands. Her grandmother (and one of her strongest influences), Yolande of Aragon, was similarly Queen Consort of Naples, frequently acted as regent in Provence and played an active part in Anglo-French conflicts, including financing Joan of Arc’s army. In addition to the women she was surrounded with, the intellectual life of the French Court was far more amenable to discussion of the role of women as valued participants in society. Christine de Pizan’s “The Book of the City of Ladies”, which defended the achievements of women against a number of contemporary misogynistic tirades, is a work an educated girl such as Margaret would have known well. 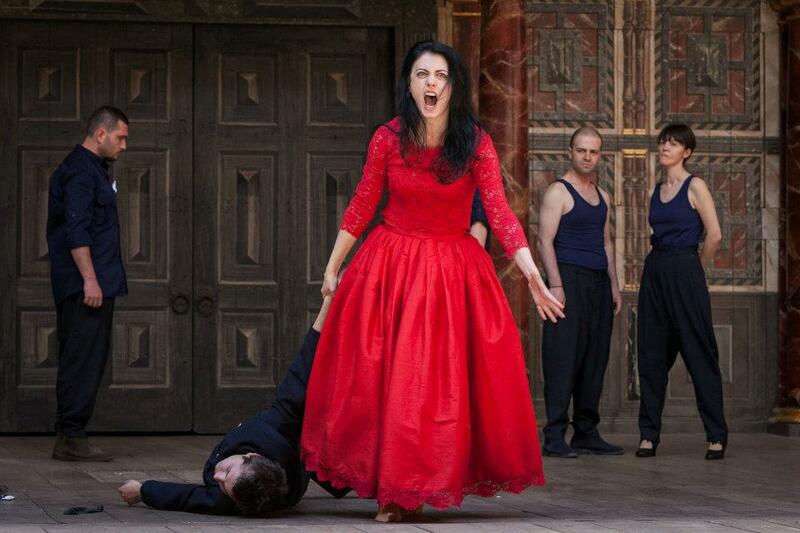 Margaret of Anjou was not a woman fighting against her place in society. She appears to have played the role expected of her until it became abundantly clear that Henry VI was in no mental or physical state to combat the rising Yorkist challenge. Whether it was the birth of a son or the simple refusal to accept that the throne she had grown to see as her right was gone, Margaret stepped forward to take the reins of power from her husband when he could no longer hold them. The Yorkist propaganda machine sprung into life. Her chief crime appears to have been that she was politically astute and perfectly able to rule in an England that would not countenance her doing so. Her punishment was to be made the scapegoat for her husband’s failings, a not uncommon process of female vilification in the medieval period as Diana E.S Dunn discusses in “War and Society in Medieval Britain”. Margaret suffered both for her nationality – “in the context of civil-war a foreign-born queen might readily be condemned for her malign influence over her husband” and her gender – “she failed to conform to contemporary expectations of queenly behaviour by involving herself in politics.” She also suffered by being on the losing side, allowing her enemies to build a raft of accusations against her, from setting crazed Scots armies on a pillaging rampage through England to beheadings and multiple adulteries. History, in Margaret’s case, is very much written by the victors. The Margaret myths have persisted across centuries as the Shakespeare portrayal and Yorkist propaganda has been regurgitated by male historians. 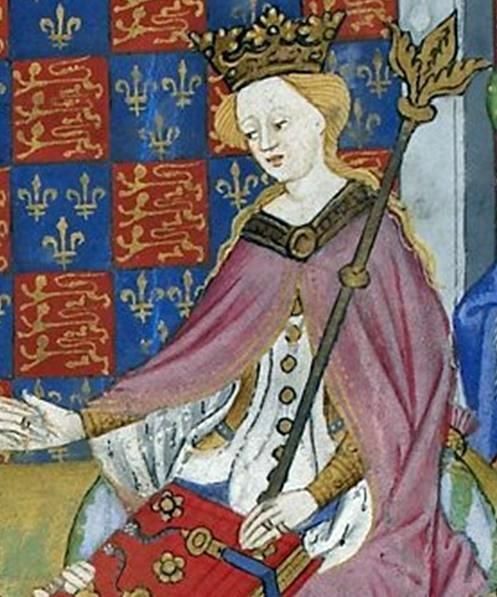 There are, increasingly, strong rebuttals and anyone with an interest in the subject could do no better than Helen Maurer’s excellent “Margaret of Anjou: Queenship and Power in Late Medieval England”, a key source book for my novel. I found Margaret a complex, difficult but fascinating woman. It is time to leave Shakespeare and the men behind and shine a new light on a queen whose ambition, strength and sense of purpose would surely find far more admirers than detractors in today’s more enlightened England. Catherine is a Glasgow-based author whose fascination with the medieval period began during a History degree which included studies into witchcraft, women and the role of political propaganda. This kick-started an interest in hidden female voices which resulted in her debut novel, Blood and Roses. The novel brings a feminist perspective to the story of Margaret of Anjou (1430-1482, wife of Henry VI) and her pivotal role in the Wars of the Roses, exploring the relationship between Margaret and her son and her part in shaping the course of the bloody political rivalry of the fifteenth century. Catherine also writes short stories – she was a finalist in the Scottish Arts Club 2015 Short Story Competition – and regularly blogs as Heroine Chic, casting a historical, and often hysterical, eye over women in history, popular culture and life in general. She has been awarded a place on the Scottish Book Trust Author Mentoring Programme to develop her second novel, also a work of historical fiction. Margaret is mostly remembered harshly because of Shakespeare. We sometimes forget how much impact a writer such as Shakespeare can have on our historic view of people like Margaret – even though his portrayal of her as a ruthless and bloodthirsty she-wolf was dramatised fiction. Shakespeare clearly loved the Margaret character he created though. He put that character in more plays than any other character he ever wrote about! He even crowbars her into Richard III – making an appearance to crow over the death of Richard III (even though, in reality, she died before Richard). Even the Yorkist chroniclers don’t go as far in their criticisms of Margaret as Shakespeare does (they never called her a she-wolf for example). Much of their actual criticism of her would make little sense to us today – mainly the criticism was that she was a) French and b) a woman and c) playing an active role in politics. Those three things alone were enough to condemn her in the eyes of many of the Yorkists at the time. The Yorkist chroniclers of the time definitely give a very biased view of her and gloss over certain facts that would cast her in a very different light. Interpreting events in the most unfavourable light and leaving out or glossing over uncomfortable truths can end up give a very different view of a person from the reality. Unfortunately, this is precisely what has happened to Margaret. As one example – Margaret’s marriage to Henry received a lot of criticism from the English nobility – mainly because of the treaty terms that went along with it. “Good” Duke Humphrey (as he was popularly know at the time) was the primary force behind these criticisms. The chronicles admit that the matter was debated in parliament and things got very heated on a number of occasions. We are told by one source that “violent language” was involved. Humphrey himself famously (or infamously) denounced Margaret as “a queen not worth ten marks”. What doesn’t really come out of all this too clearly (or is glossed over) – is just how violent and threatening towards Margaret’s person some of this language became. In reality it was probably extremely violent. One nobleman apparently remarked about Margaret at this time “I wish she could be drowned!” – that is actually the kind of thing “violent language” probably meant. At the time Margaret was a young girl, aged 16 or 17. The men shouting for her to be drowned and saying she was not worth ten marks were, mostly, violent middle aged ex-soldiers – almost all of whom had fought and killed in battle in their youth. Thannks Susan. I will read this later. I did a conference paper on Margaret of Anjou nearly two years ago now (has it really been than long?) in which I basically argued that even though she was certainly violent and ruthless on occasion, she was really no worse than the men. Some condemn for for having people executed, for instance- but I think we should cut her some slack- the other side were doing the same. They were killing relatives left, right and centre. Its interesting though that even today, people seem more willing to think ill of Margaret then any other English Queen. Even Isabella of France has many defenders, and Eleanor of Aquitaine is well-respected by a lot of people- yet Margaret is still very much a ‘baddie’ in the popular imagination I think. The Yorkists did a pretty good hatchet job on her image, if what they said about her is still being believed 550 years later. I almost see her as the female equivalent of Richard III- except that she has not had so many trying to rehabilitate her and repair her reputation. Marguerite is certainly due a reassessment on many levels. I find her fascinating and often judged too harshly in comparison to her male counterparts. An interesting read and something that I intend to write about soon as I find Marguerite a fascinating and much mis-judged figure, trying to survive in a world where all the rules were set against her ever succeeding. I agree Giaconda. Personally, I think her actions were an example of her trying to ‘fight fire with fire’- using the same methods as her enemies did. Perhaps she though passivity and diplomacy were not going to do her very much good- and seeing as her husband does not seem to have done much to fight her corner at the end, she probably decided to take matters into her own hands. I have been a sympathizer for a while. I also don’t believe the accusations of adultery levelled at her, or that her son was illigitimate. Helen Maurer, I think it was, asserted that there was no evidence an no reason to assume that King Henry did not sleep with her and was incapable of fathering a child. Just because it took time, it does not mean he was not the father. She was only 15 when they married, so its possible he might have waited for a time, not wanting to inflict childbirth on her at too early an age. I do tend to think, that if she had been nearly as promiscious as the Yorkists made out- she’d likely have had more than one child! Sorry, one more point that’s interesting in light of your comment that the ‘rules were set against her’. In France, there was a precedent for female Regency. So I think over there, she could well have been appointed Regent for her infant son. Maybe that is what motivated her to try and get that position in England. They did it in her homeland, and perhaps it just seemed natural to her. Unfortunately, we had no such precedent in old Blighty, and so parliament was dead set against it, and she was thought of as power-hungry or acting unlawfully for trying to get herself made Regent. A matter of different customs, different interpretations, perhaps? Fascinating, Susan and Catherine – a period of history I’m unfamiliar with. Great piece of history. It is fitting very well into my current reading and research program. Thanks, Susan. Glad to be of help Kalli!